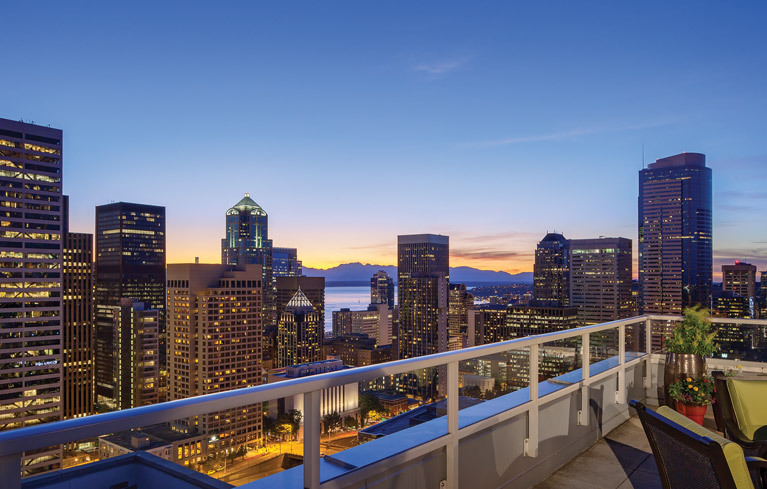 Residents at Skyline enjoy a big outdoor garden plaza for summer dining, a chef’s herb garden and a rooftop deck with 180-degree views of the water and mountains. Plus, there’s an active garden club and a dog-romp area where pets can enjoy the great outdoors. Skyline is a CCRC, and a true Life Care Community.